After months of investigation from 13 August 1932, Boulton & Paul came up with a completely enclosed cylindrical turret with a hemispherical top, housing a single Lewis gun mounted with the barrel protruding through a narrow slot. Rotation of the turret was by means of compressed air, and the gunner could elevate his gun to around 70 degrees through a 360 degree horizontal field of fire. The turret tested on an Overstrand was one of the two new prototypes completely redesigned by BPA, but built by SAMM with Browning guns. There was never a 4-gun Darne turret. The SAMM prototype of the Darne layout was a two gun test ring only. By June 1933, a mock-up which incorporated also hydraulic balancing of the seat and gun had been officially inspected and accepted for installation in the Sidestrand. Having afforded such protection to the nose gunner, it was decided that the same treatment should be offered to the pilot by providing a fully enclosed cockpit. Furthermore, the aircraft was re-engined with Bristol Pegasus engines; due to all these improvements, what was supposed to be the Sidestrand Mk V was renamed 'Overstrand'. Three Sidestrand Mk IIIs were converted to Sidestrand Mk V configuration but were then renamed Overstrand. The first Sidestrand conversion Overstrand flew in 1933 with a 414-kW (555-hp) Pegasus 1M3 engine in a low-drag Townend ring cowling, an enclosed and heated cockpit, a shielded dorsal position, an autopilot and a fully enclosed nose turret. The only production variant was the Overstrand Mk I, and 24 of this model were produced to replace the Sidestrands of No. 101 Squadron at Bicester from December 1934. Four Overstrands were also allocated to No. 144 Squadron. The production Overstrand that entered service with No 101 Squadron from 1934 became the RAF's first bomber with a power-operated enclosed gun-turret, which overcame the problems associated with firing movable machine-guns at high speed. 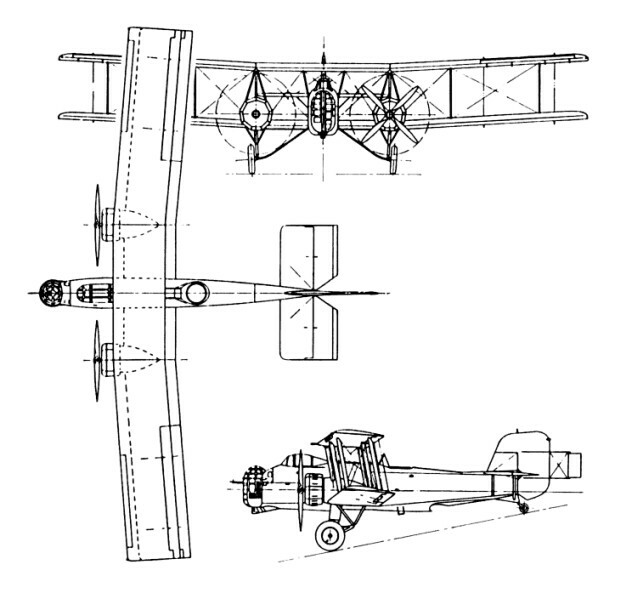 A total of 24 Overstrands were built, each powered by two 432kW Bristol Pegasus II M3 radial engines. These remained in service as bombers until 1937, then becoming gunnery trainers up to 1941. From 1937, the Overstrand was replaced by the Bristol Blenheim.